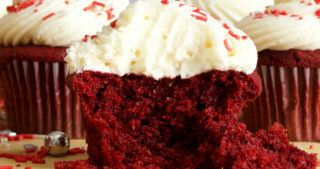 Separating eggs is fundamental to a wide variety of baked goods, buttercreams, custards, and curds. 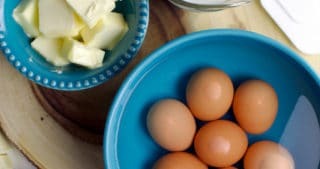 Here are three simple ways to separate the egg white from the yolk. Eggs are one of those things you’ll pretty much always find plenty of in my refrigerator at all times. 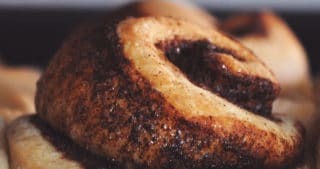 Not only do they offer several amazing options for a quick meal – scrambled, fried, poached, omelettes, French toast – they are the backbone of baking. Eggs are essential in all variety of cakes, cookies, brownies, tarts, breads, breakfast pastries, custard… the list goes on and on. Because eggs are so important in baking, it’s important to know how to separate them. Why do you need to separate eggs? 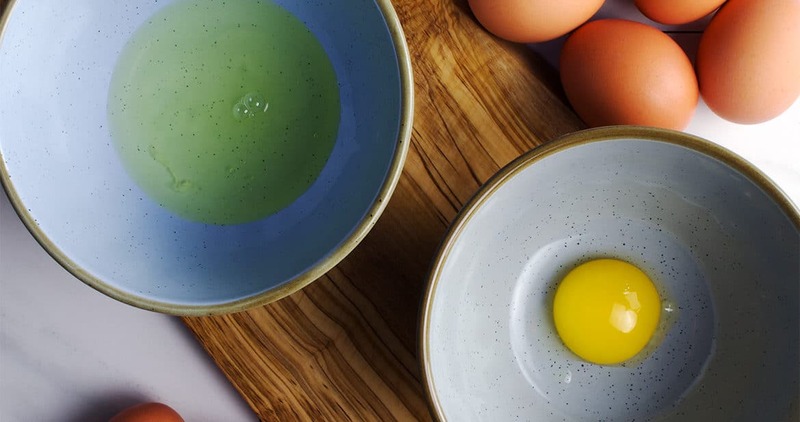 As important as eggs are in baking, the whites and yolks play very different rolls. Egg whites have the ability to trap a ridiculous amount of air. This airy foam can be used to make meringue or soufflés or Italian Meringue Buttercream. 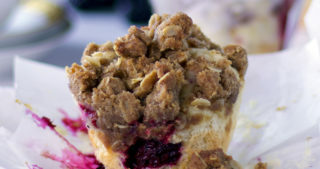 It can also be folded into waffle, cake, or muffin batter as a way of incorporating air into the batter right before baking. 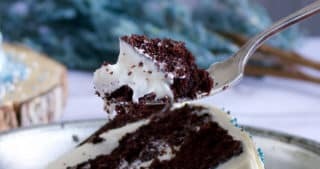 In recipes like this Perfect White cake and Blackberry Lemon Layer Cake, beaten egg whites give leavening agents like baking powder and baking soda plenty of little air pockets to expand in the oven so that the cakes rise evenly and have a lighter texture. 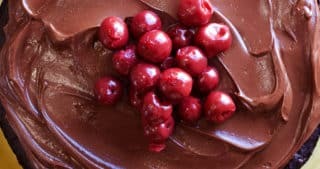 In recipes like this Chocolate Soufflé and Angel Food Cake, egg whites are the only thing needed to creating a gorgeous rise. Egg yolks contribute fat and emulsifying capabilities. 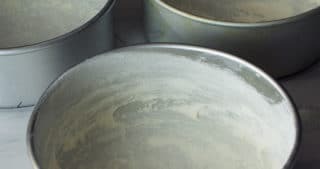 Their ability to bind fats and liquids together and distribute them evenly helps create smooth, cohesive batters and creamy custards. 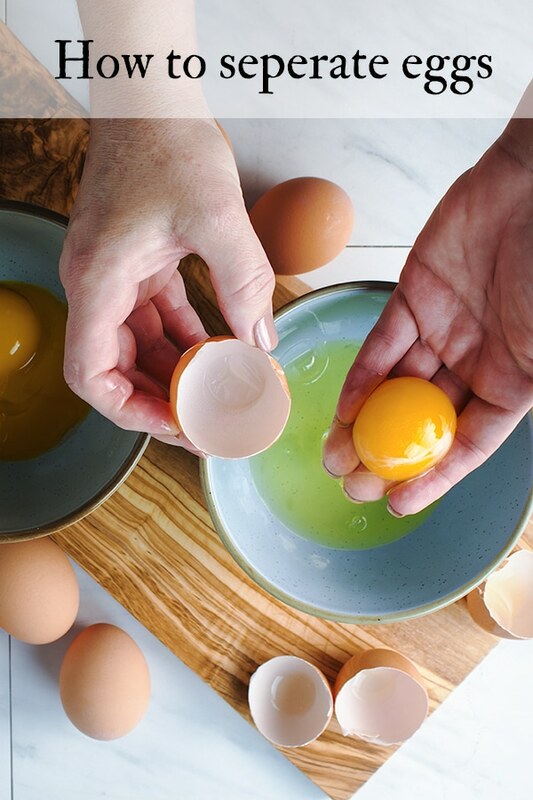 The fat in egg yolks add richness to cakes and other baked goods. They also have an amazing ability to thicken custards, curds, and sauces when heated gently over low heat. #1. Use the egg shell. 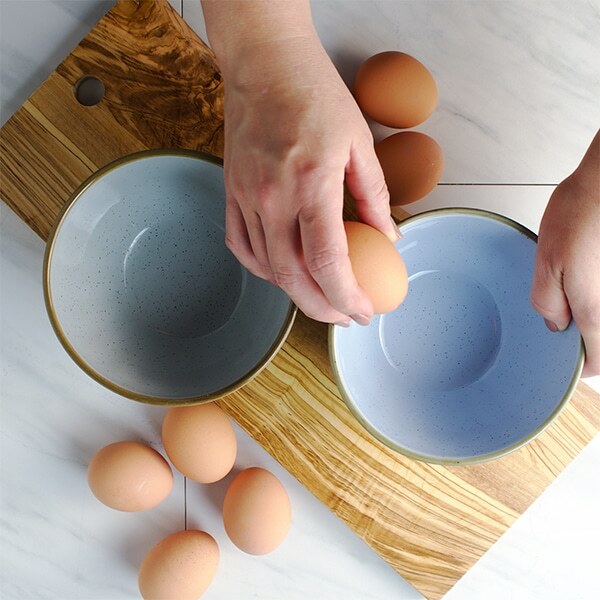 Crack the egg on the edge of the bowl or countertop to crack its shell. Hold the cracked egg over a bowl and let the yolk settle in one half of the shell while the egg white begins to drip down into the bowl. 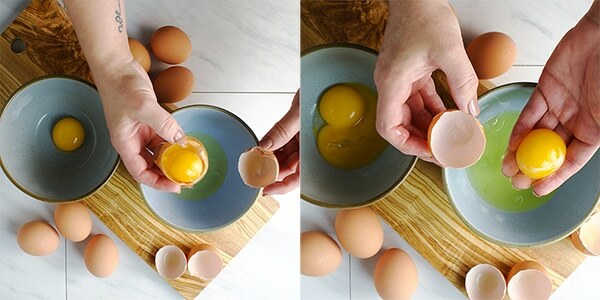 Carefully transfer the yolk back and forth from one side of the shell to the other, letting the egg white fall into the bowl. 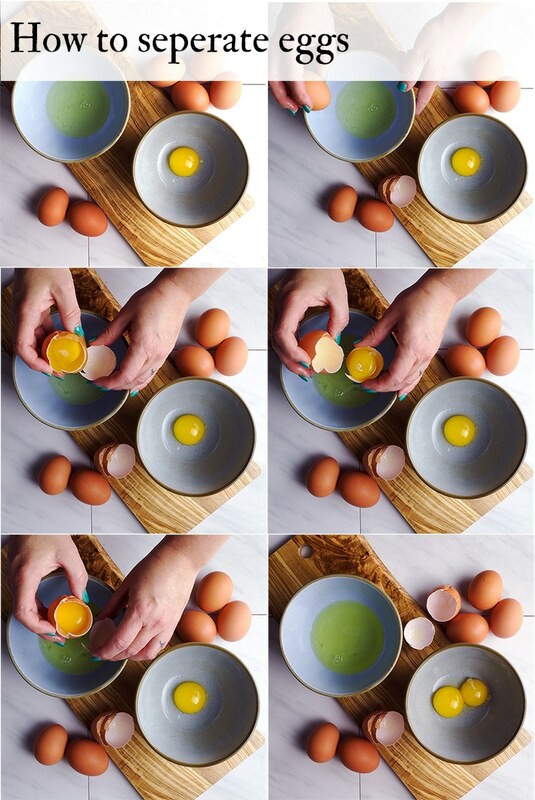 Add the yolk to a separate bowl. Crack an egg into one hand, positioning it over a bowl. Let the egg whites drip through your fingers into the bowl until only the egg yolk remains in your hand. 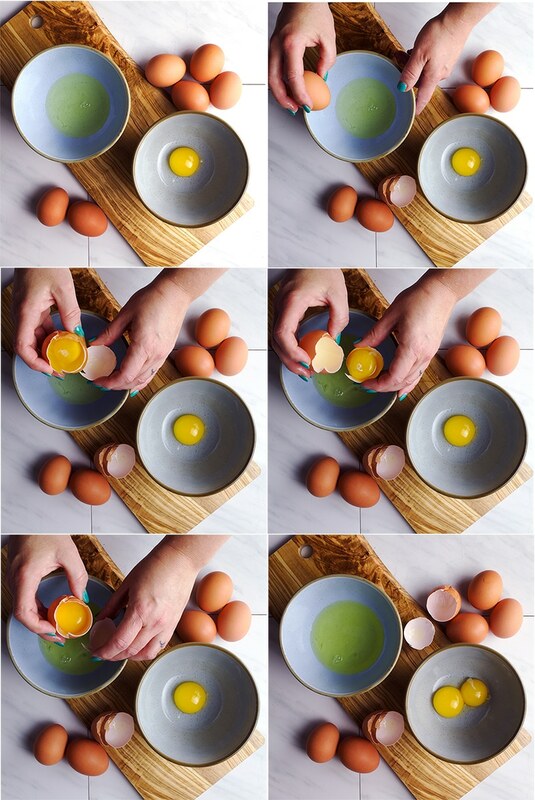 Drop the yolk into a separate bowl. #3. Use an egg seperator. This is pretty much the same method as using your fingers, but a bit less messy. Position the egg separator over a bowl and crack an egg into it. 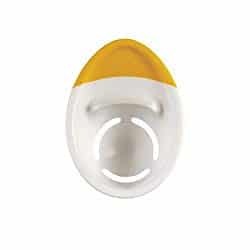 The white will drip through the separator into the bowl, leaving the yolk behind.